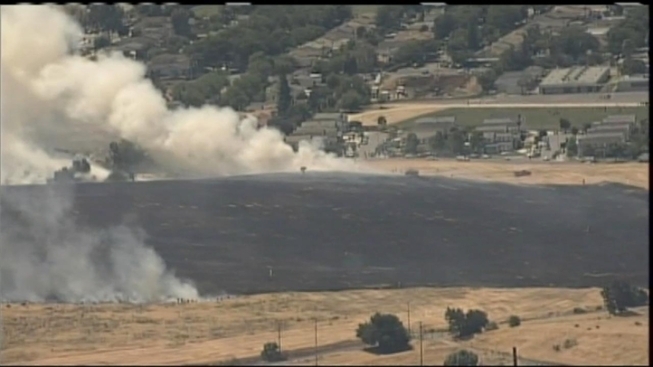 A nearly 20-acre brush fire broke out Wednesday morning in southeast San Jose. San Jose Fire Capt. 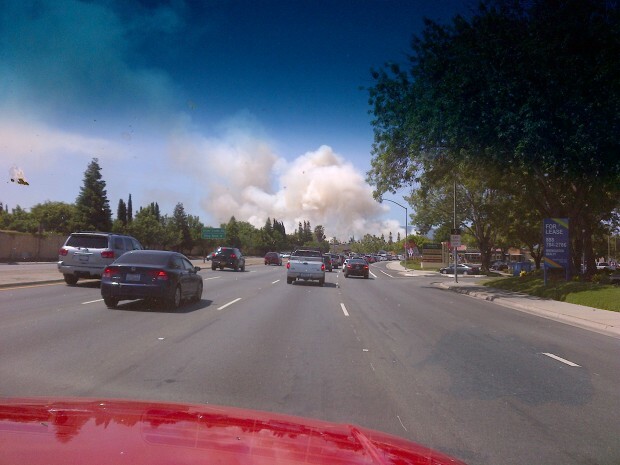 Cleo Doss said the two-alarm fire began burning on a 50-acre plot of land about 11 a.m. at Singleton Road and Locke Drive, which is bounded by East Capitol Expressway and Senter Road. The smoke could be seen from around the South Bay. Doss added that no structures were threatened, including the nearby Los Lagos Golf Course. Resident Laura Singheim lives close to where firefighters were battling the brush fire. She called in to NBC Bay Area about 11:30 a.m., to say that from her vantage point, firefighters were doing "really well." Doss added that crews called in CalFire's air support for help, and that winds were spreading at a "moderate rate of speed," but that firefighters will have to "use a lot of resources to knock it down." Before noon, he said fire crews had nearly contained the blaze. The fire started at a nearby creek, where people are known to camp out, but Doss couldn't speculate on how the blaze started. East Side Union School District is close by, but students had not been evacuated. Dan Fowler, who is the principal of Sylvandale Middle School, said that educators were watching the smoke, but carrying on as usual. He said the children were "excited" as middle students tend to be.